Since fibre just recently became available in our neighbourhood I just got it installed about a month ago and has been enjoying it. The location in the house where I had the fibre box set up was in the living room as I wanted to hook it up to the gaming console. I didn’t know what to expect with the Vodafone TV but I it actually allowed me to get rid of the dish tv satellite receiver and just use broadband to view tv shows. Anyway because of the location of the new router some parts of the house are not getting good wifi coverage. Since I switched internet provider I was left with the old modem/router. In this tutorial basically we are going to connect the old router to the new router. The old router will act as access point and that allowed me to extend the wifi coverage in the house. 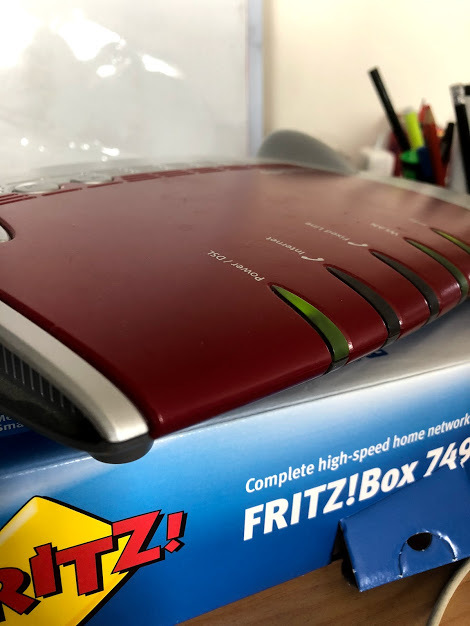 Boot up the Fritz box router and connect it to your computer using a LAN cable. If you do not remember your password which is provided by the ISP, simply click on forgot password link to reset. The router will reboot after. Once logged you’ll get an overview of your system. Click on the Internet menu on the top left to start configuring your router. Click on the Internet and select Account Information. On the section Internet Service Provider. Select Existing connection over wireless LAN. The Wireless LAN devices will be listed, select your wifi network and under Security add your wifi password and hit Apply. Next set the a new Wifi name. Notice the option gives you 2.4 GHZ and 5-GHZ frequency band. (The router as far as I can tell can only connect to 2.4 ghz frequency on my new router so setting up 5Ghz here won’t really matter, you would still be on the 2.4 ghz band). Hit Apply to save the changes. Click Security under WLAN to setup the Network Key password and hit Apply. Hit Apply and you are done. 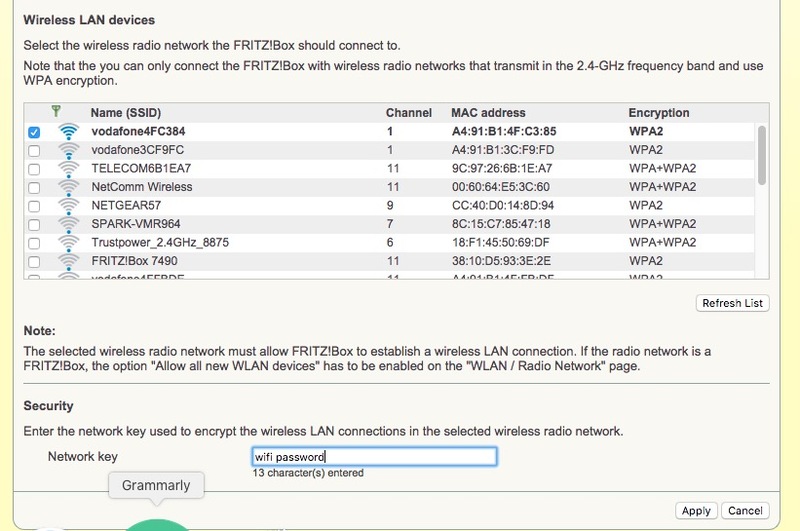 Disconnect the LAN cable and search for the new Wifi in your network. Cons: It can only connect to the 2.4 GHZ channel frequency which is the slower band. I get into the range of 20-40 mbs. Hopefully this is useful to somebody out there. Happy surfing.